February 26: 5 POWER Lessons From 5 Leaders Who Made History On This DAY! Our interest is a corner stone for all that we achieve in life. Johan Ernst Gunnerus had a weapon of dedication and strong will power to swim across difficulties. Born in Christiania, this Norwegian botanist was a bishop of the Diocese of Nidaros from the day he joined until his death and was also a professor of theology at the University of Copenhagen. Enrolling in the University of Copenhagen, he had to pause his studies for three years due to financial challenges after which, he got his Magister degree and was appointed as the faculty of Philosophy. Rising higher, he extensively published his notable work on natural and international law in 8 volumes. Gunnerus was very much interested in natural history and gathered a large collection of specimens from visits to central and northern Norway and also encouraged others to send him some. Together with the historians, he founded the Trondheim Society, which received royal recognition and became the Royal Norwegian Society of Sciences and Letters. 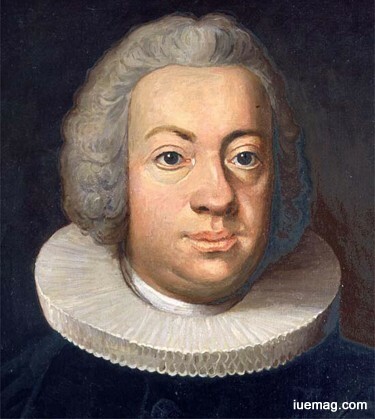 Gunnerus was the vice President and Director Perpetuus of the Society and he was elected as a foreign member of the Royal Swedish Academy of Sciences. As reward for Gunnerus’s transcending contribution to the field of Botany, the plant, genus Gunnera and the Gunnerus Library were named after him. The standard author abbreviation Gunnerus is used to indicate this prodigy, as the author when citing a botanical name. Poverty made him postpone his studies but never stopped him. His deep interest on plants specimens broadened the scope of this domain. One day, the son of a master mechanic who earned his living by bettering small factories, Herbert Henry Dow was blessed with not only his father's inventive flair but even better business savvy. The oil men considered the oozing bitter brine a nuisance and Dow was asked to taste it. Dow’s inquisitiveness in finding out why it was bitter, founded his fortune; he tested the sample in his lab and spotted the reason for it’s bitterness, which eventually gave way for him to enter the primitive chemical industry by inventing a new bromine extraction method. An American chemical industrialist, founder of the American multinational conglomerate Dow Chemical, left a mark on the minds of people by keenly projecting his ability to learn. The inner urge to stand out in his domain contributed to his success. Being the inventor of chemical processes, compounds, the successful businessman specialized in research in the chemical composition of brines. He discovered sources of bromine, which was a primary ingredient in medicines and was widely used in photographic industry. He was granted over 90 patents during his span. Renowned in halogen chemistry, Dow served public by working on subjects like education. His favorite saying was, "If we can't do it better than the others, why do it?” working 18-hourS per day in his factory, which was bankrupted; Dow had to be administrator, laborer, and fundraiser, yet embracing positive spirit, very soon, he set his factory back onto work floor. None of us can live all by ourselves in this universe. When we depend on others directly or indirectly to achieve what we want to, it is equally important to leave the world, with a token of gratitude and respect. 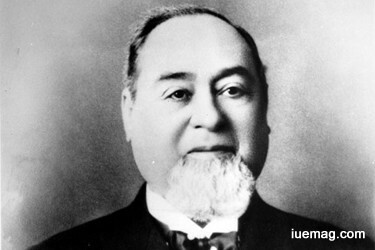 Levi Strauss was an American Jewish businessman of German origin who started an enduring fashion empire, which he launched by making one of the world's most durable and popularclothing items-the blue jeans. His firm, Levi Strauss & Co., was his dry goods wholesale business, importing fine dry goods—clothing, bedding, combs, purses, handkerchiefs—from his brothers in New York. He initially made tents and eventually started jeans when Jacob Davis, one of Strauss's customers and one of the inventors of riveted denim pants, visited his business to produce blue jeans. The two men patented the new style of work pants in 1873. An early American clothing success story, Levi, at 16, lost his father who suffered from tuberculosis and hence, went to America to work for his brothers' dry goods business. Strauss went towards west where he soon started his own dry goods and clothing company. His company began making heavy-duty work pants, now known as jeans, and it continues to operate to this day. As his business grew, Strauss supported numerous religious and social causes. He helped establish the first synagogue, Temple Emanu-El, in the city, and also donated money to several charities, including special funds for orphans. 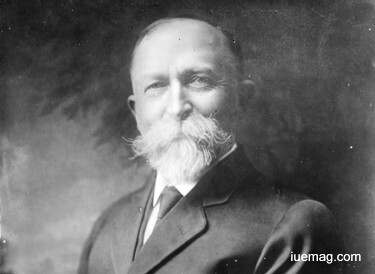 John Harvey Kellogg was renowned for co-creating the breakfast cereal, corn flakes, with his brother. This contribution has made him immortal in the hearts of all. He was an American medical doctor in Battle Creek, Michigan, who ran a sanitarium using holistic methods, with particular focus on nutrition, enemas, and exercise. Advocating on vegetarianism for good health, he led the establishment of the American Medical Missionary College. Kellogg, a member of the Seventh-day Adventist Church, frequently held am eminent role as a speaker at church meetings, through which he promoted a practical and common sense of religion. The Sanitarium was run based on the church's health principles. Being an Adventist, he was a promoter of nuts, which he thought would save mankind in the period of decreasing food supplies. Along with being famous over the days for his development of corn flakes, Kellogg also patented a process for making peanut butter and invented healthy Granose biscuits. At the Battle Creek Sanitarium, Kellogg held classes on food preparation for homemakers. Sanitarium visitors engaged in breathing exercises and mealtime marches to support proper digestion of food throughout the day. 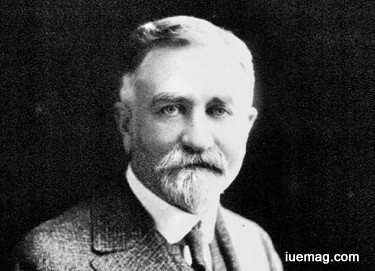 John Kellogg and his brother Will Keith Kellogg started the Sanitas Food Company to produce their whole grain cereals around 1897, a time when the breakfast for the rich was eggs and meat, while the poor ate porridge, farina, gruel, and other boiled grains. Later, Will started his own company, which eventually became the Kellogg Company. It is pretty common that people the right talent but are still not able to move further many a times. Hindering our self-esteem and stopping ourselves will not help have a peace of mind. Gratifying our state of mind can be accomplished by patiently resolving and introspecting. 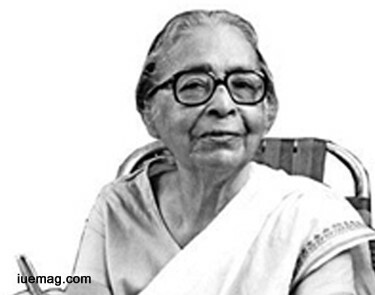 Leela Majumdar, a Bengali writer, had to wait for more than 7 years to publish her first book although she had the best talent and the right knowledge years before. She stood first in English (literature) both in her honors (graduation) and Master of Arts examination at the University of Calcutta. After two decades as a writer, she joined All India Radio as a producer and worked for about 7-8 years. Her first published book was Boddi Nather Bari (1938). However, it was her second compilation Din Dupure that brought her considerable fame and then her incomparable children's classics followed. Although humor was her forte, she elaborated her skills to write detective stories, horror stories and fantasies. Apart from her glittering array of children's literature, she wrote a cookbook, novels for adults and the biography of Rabindranath Tagore. She won a ray of awards and appreciation for the quality work she had contributed to the genre of Indian Literature. Bhubaneswari Medal, as a lifetime achievement award, was one of them. The determined Leela, certainly stands as a role model for every women for generations to come. Any facts, figures or references stated here are made by the author & don't reflect the endorsement of iU at all times unless otherwise drafted by official staff at iU. This article was first published here on 26th February 2017.